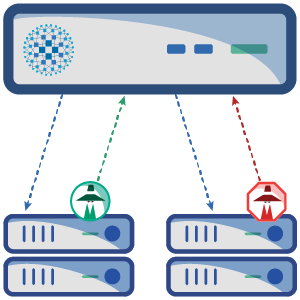 By controlling traffic during load spikes, crashes or server maintenance, HAProxy application load balancing solutions ensure that online services and applications are always available. Health checks can be simple TCP checks, various service checks (MySQL, PostgreSQL, etc.) or HTTP. 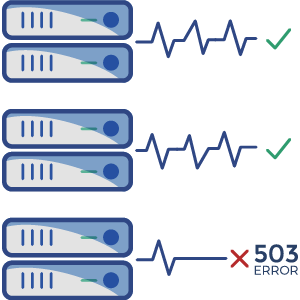 With HTTP checks, you can examine the status code or the content of the returned page to make an intelligent decision on when to fail out a server. 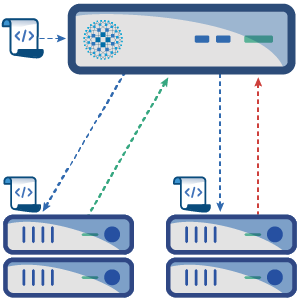 A TCP agent can be ran on the server, which is able to inform the load balancer about the backend servers performance, allowing it to adjust the weight or maximum number of parallel connections to prevent overload. Checks integrated in HAProxy are not powerful enough for your use case? Write a script and make HAProxy run it to check the status of your service. 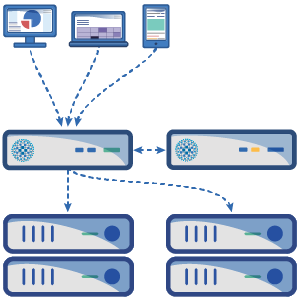 Patched third party software can be used to provide active-passive high availability to your load balancer. 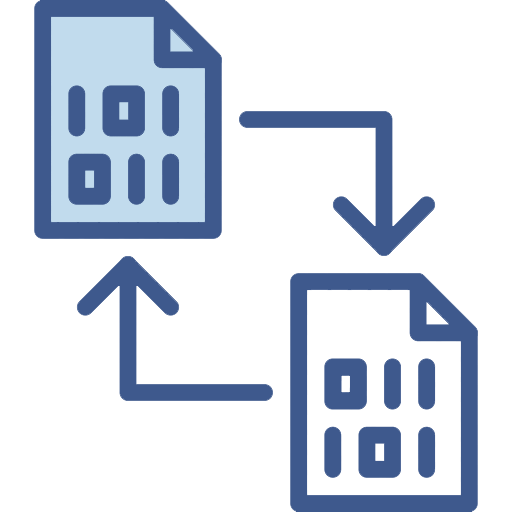 Patched third party software is used in combination with tools to monitor the load balancing daemon and remove the BGP announcement in case of any issues detected. 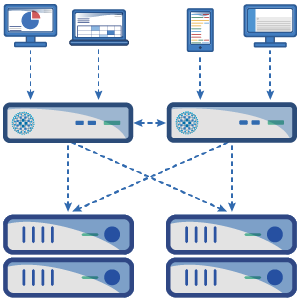 This allows your traffic to failover seamlessly in case of any software or hardware issues. With the stick table synchronization you can make sure all your load balancers have the same visibility of various counters, enabling them to make shared intelligent decisions.